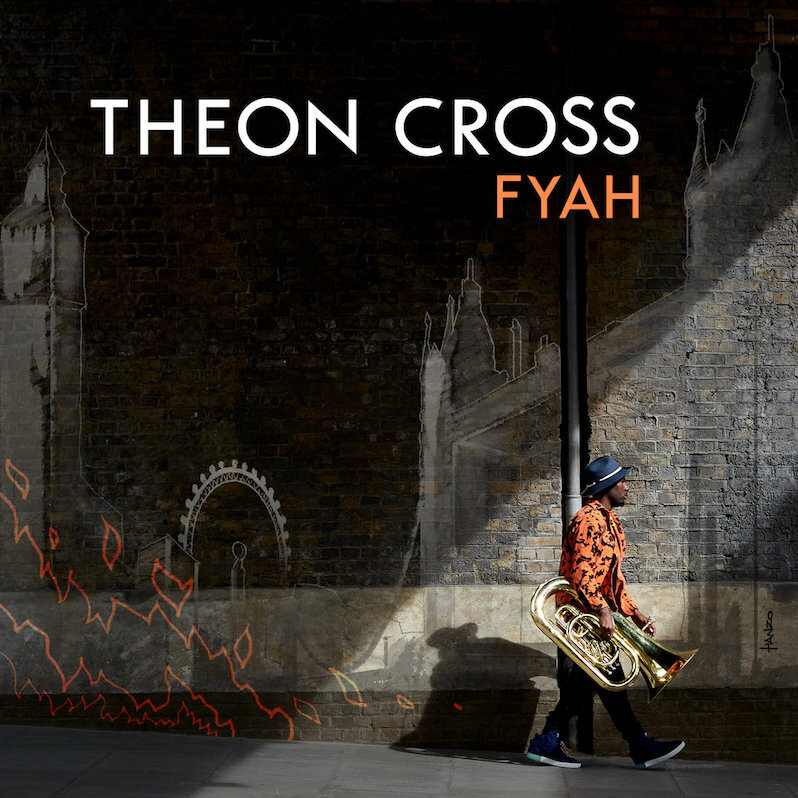 From the opening grumble and crunch of “Activate,” the first track on new album Fyah, musician and composer Theon Cross punches across the notion of a heavy grime influence. His sensibilities, highlighted by the back-and-forth pinging tempo that swims from half to double time repeatedly, are not for the legacy entrenched aficionado. There are moments in this track when the idea of Wiley and Skepta spitting bars should be explored, and the song gets real tight. The intensity broadcasts that the London Tuba player has acutely pulled from his own generation of musical influences and made an of-the-moment jazz record, borne out of the bones of drum and bass, hip-hop and all the varied strains of UK electronic music, in the uniqueness of a Young Black Brit. 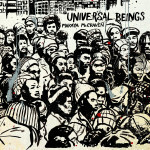 The genre mash-up here on his second solo record Fyah, accompanied with modern bass line uses for the tuba alongside melody taskmaster Nubya Garcia on tenor sax and Moses Boyd straight-mashing away on drums throughout, see one-third of the songs written with some type of EDM or hip-hop framework in mind. On “Radiation,” Cross finds and paints a glaring bullseye on the sweet spot between J-Dilla style production, New Orléans second line brass band tradition, and Caribbean accents. In essence, a whole lotta swing. The slump beat pattern handled expertly here by Boyd shadows the bassline movement Cross puts forth using his swiss army knife-like tuba expertise. The track is a much-beloved slap of 2006 hip-hop. On the bass bin rattler “Panda Village,” Cross uses the DJ culture-specific action “rewind my selector” to transition from the grime inspired staccato intro to the featured idea. It’s a passage that incorporates his thundering low-end tuba frequencies for Nubya Garcia to float out an “arms waving in the air” caramel type refrain. 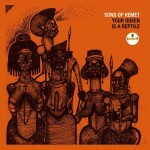 These arrangements make it quite clear why Cross, a member of the Mercury-nominated and award-winning quartet Sons of Kemet, is more than just a savage performer. The last few years have seen him appear on a number of influential releases including the We Out Here compilation via Gilles Peterson’s Brownswood Recordings, as well as on the game-changing Where We Come From mixtape on Chicago label International Anthem. Don’t get it twisted—the jazz technique fused with dancehall rhythms on the sun-soaked uptempo Carnivál feels during “Candace of Meroe” are intelligently sublime, the first of two tracks that feature an expanded six-member roster that includes guitar, trombone, and percussion. 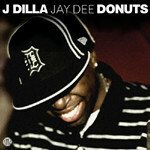 The second, “CIYA,” is the closest the album gets to some type of traditional smoothed-out composition. It’s lustrous, smokey-room cool you would expect in a customary OG Jazz area, where time just evaporates. It’s the core trio—Cross, Garcia, and Boyd—that makes every waking moment on the record come to life. There is a locked-in fearlessness among them, always at work, devoid of tempo, that allows the trio to move, pivot or layout with intuitive unity. On the hymn-like meditation of “The Offering,” which sounds like it’s recorded in a live setting, we get sheets of autumnal shamanic-like runs from Garcia. They swirl around and blend in with outsize crowd buzz that remains throughout the performance. It’s not rude, nobody yelling or interrupting the performance. Just people choosing to be jazz adjacent, consuming this energy while they order their pint and take a swig off a smuggled-in flask, vibing in what can be assumed is a sweaty, compacted, funky alternative space.